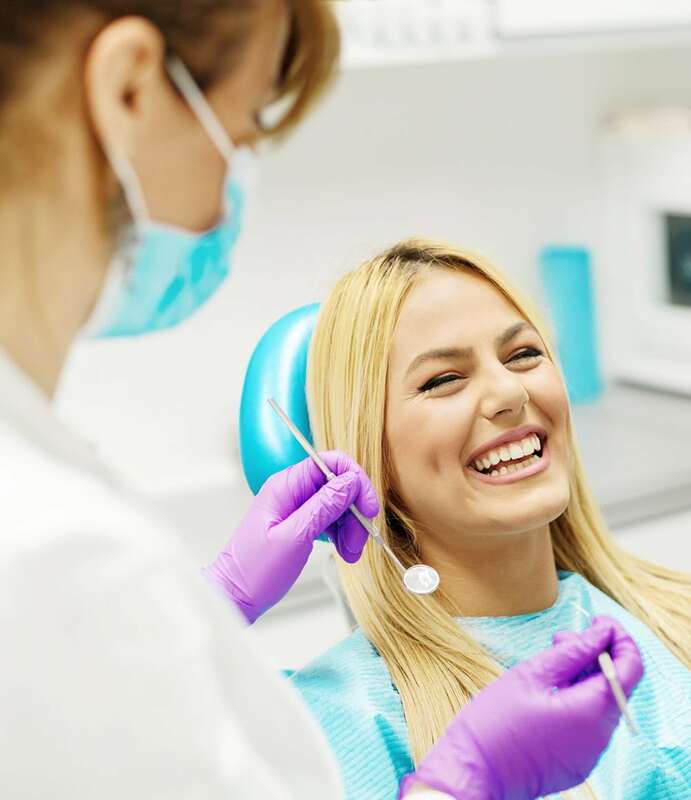 At Family Dentistry of Colorado Springs, Dr. Kazemi provides our patients with the comprehensive dental care they need to enjoy a great looking smile for a lifetime. Dr. Kazemi, your choice for the best family dentist in Colorado Springs, strongly encourages patients to visit our office at least once every six months for a routine dental exam and cleaning. Regular exams and cleanings remain a vital part of protecting your long-term oral health. Depending on the current state of your oral health, you may need to visit our office more frequently as recommended by Dr. Kazemi. Your oral health matters more than to just the health of your teeth and gums. Researchers continue to find more evidence that strongly links our oral health with our overall health. Recent studies have found surprising connections between tooth decay and gum disease with a range of chronic illnesses that include heart disease, stroke, diabetes, arthritis, obesity, and even cancer. As more study continues to examine this connection, it's become clear that protecting our oral health is more important than ever to ensure we stay healthy now and into the future. 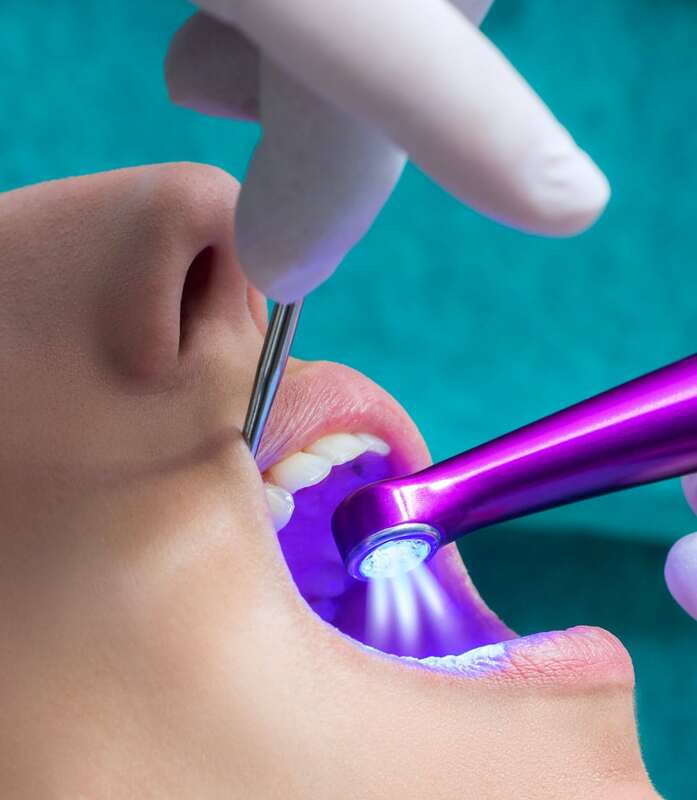 Our mouths feature a lot of hard to reach and clean places that allow harmful oral bacteria and food particles that linger in the mouth after eating to accumulate on our teeth. For younger patients who don't yet possess the attention to detail or manual dexterity needed to properly brush and floss on a daily basis, these problem areas can quickly become damaged by tooth decay. This can lead to the development of cavities that permanently alter a child's oral health development. Dental sealants effectively "seal" away hard to clean areas of the mouth - such as the back molars - to prevent the development of tooth decay and cavities. Made from a thin plastic resin, Dr. Kazemi can quickly apply sealants to a patient's teeth in just a few minutes. Once dried, sealants are incredibly durable and can last for several years before a reapplication is needed. If you or your child participant in sports, it's important to protect your oral health with the use of custom-made mouthguard. Whether from playing a pick up game of basketball at the park or on the soccer field, oral trauma to the face can significantly impact an athlete's long-term oral health. By wearing a custom-made mouthguard, you can help to protect your teeth from trauma so an accident doesn't take you out of the game. Additionally, some research even suggests that the improved stability wearing a mouthguard provides to the head and neck can successfully lower an athlete's risk of concussion. 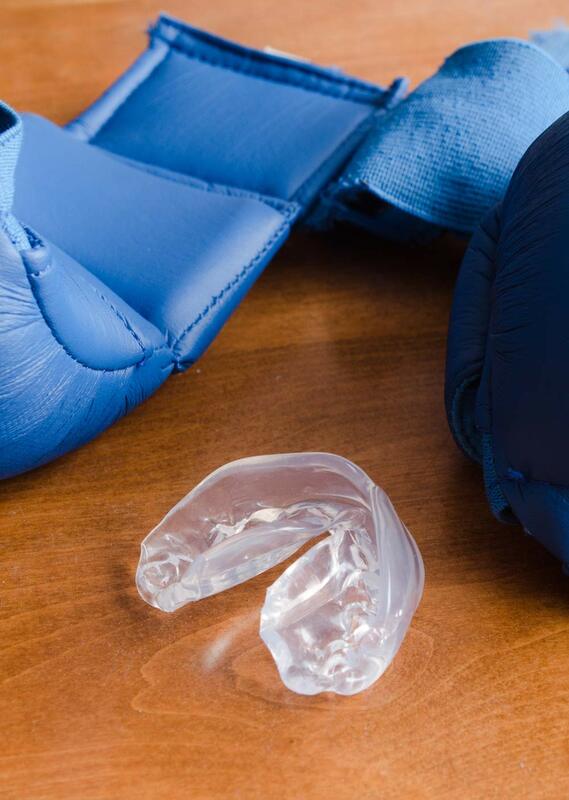 Unlike over-the-counter and boil and bite mouthguards, a custom mouthguard created by Dr. Kazemi provides improve comfort and fit. If ready to take your game to the next level, contact our office today to schedule a consultation with Dr. Kazemi. Just one look at remarkable difference a single teeth whitening treatment can make to the color and complexion of an individual's smile and it's easy to see why whitening has quickly become the most commonly performed cosmetic dental treatment in the U.S. Teeth whitening offers a safe and affordable option for patients looking to lighten the top, bottom, or both rows of teeth. Simply use the whitening agent we provide until your teeth reach the desired shade and then stop. 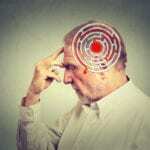 Once a reapplication is needed, simply start the process over. Invisalign orthodontic treatment can enable you to get the healthier, better looking smile you've been wanting. 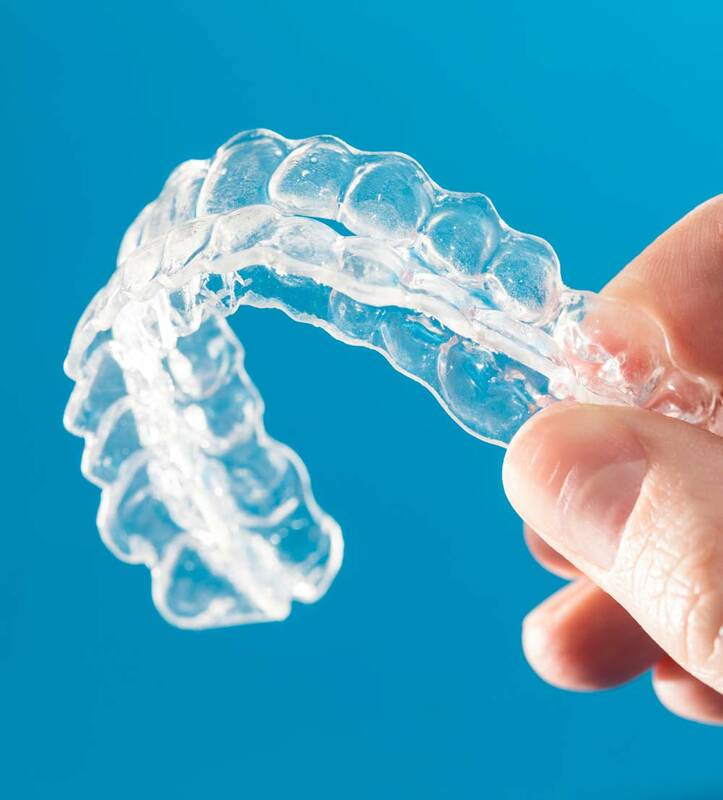 Unlike traditional metal braces that use brackets and wires to straighten your smile, Invisalign utilizes highly advanced and durable clear plastic aligners designed to correct a crooked, crowded, or misaligned smile. 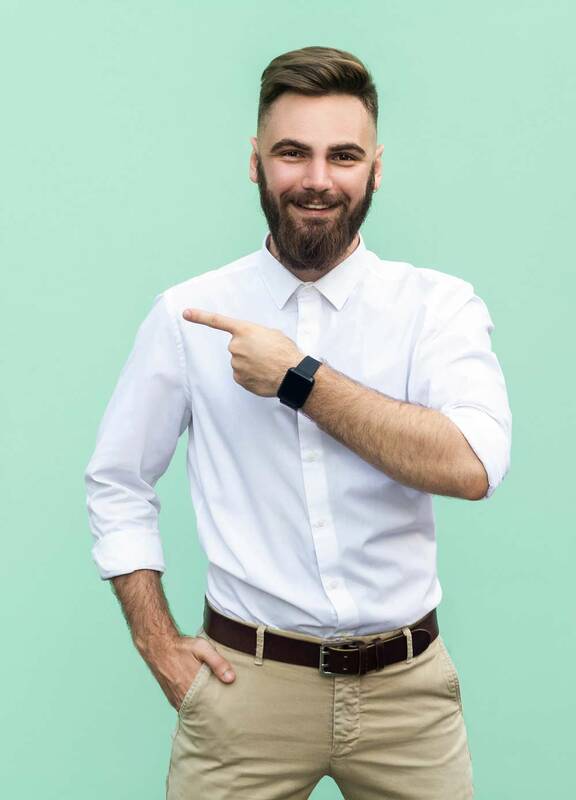 Invisalign's aligners blend so seamlessly into the natural complexion of your smile most people will never notice you're orthodontic appliance. 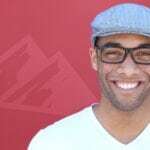 Dentist in Colorado Springs Dr. Kazemi will create your custom Invisalign treatment plan based on a thorough examination of your current oral health. A series of aligners will be fabricated to correct your smile based on your customized treatment plan. Simply wear your aligner except when eating or brushing to get the straighter, healthier looking smile you've been imagining. That's it. Don't let potential feelings of embarrassment keep you from getting the smile you can feel confident in. Contact our office today to schedule your consultation with Invisalign certified dentist Dr. Kazemi. 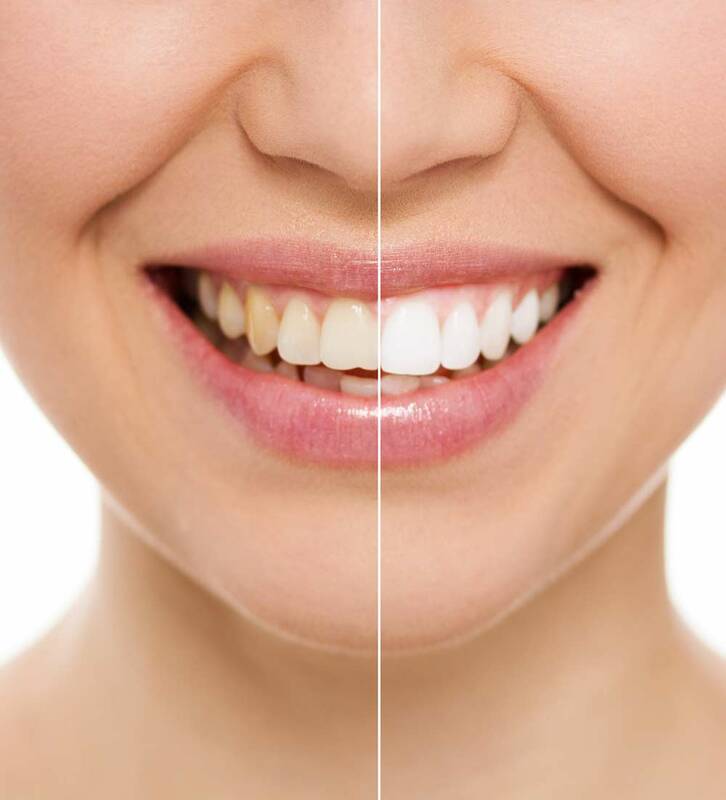 Made from incredibly thin, but durable, sheets of porcelain, dental veneers offers patients a convenient and affordable option for correcting the appearance of stained, crooked, or broken teeth. Dr. Kazemi will prepare your teeth for the placement of the veneers before bonding them into position. 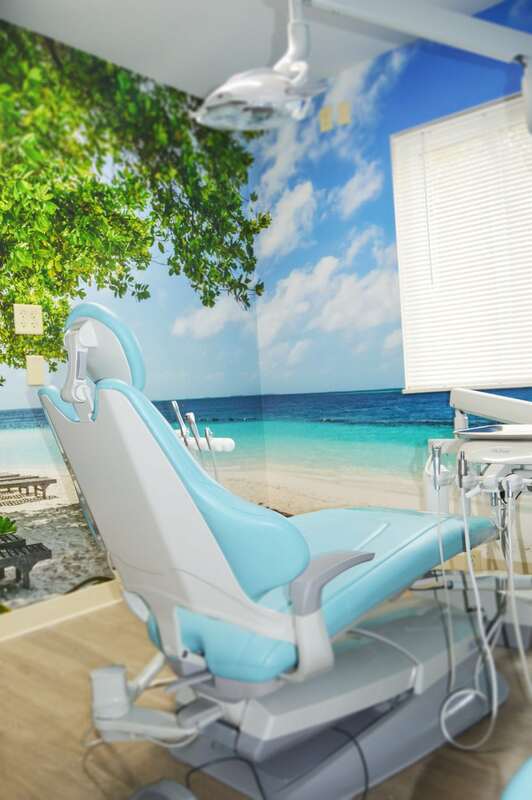 Veneers are virtually undetectable and are stain resistant. It's important that you practice quality oral hygiene to keep your veneers healthy and in good condition. Good oral hygiene includes brushing twice a day and flossing daily. You also need to schedule regular exams and cleanings with Dr. Kazemi as well. Dental implants offer patients a permanent solution when it comes to replacing one or missing teeth. Fixtures of titanium placed surgically into your jaw bone, dental implants take the place of the natural root of a tooth. Implants support crowns, bridges, and dentures. Dental implant technology can enable any patient to achieve a comfortable, healthier, and more natural-looking smile. Dental implants look and feel better than their removable restoration options and offer the same force for biting as bridges that are fixed. Best of all, they will last a lifetime if properly maintained. Consistent and thorough daily oral hygiene is required for implants to stay clean and healthy. It’s also important to regularly visit Dr. Kazemi for routine follow-up appointments and cleanings. At Family Dentistry of Colorado Springs, Dr. Kazemi offers patients the opportunity to get same-day dental implants. Don't let a smile damage by dental decay or disease impact your oral health. Get the healthier looking smile you desire today. A dental crown can be used to cap or completely cover a damaged tooth. In addition to strengthening a damaged tooth, a dental crown can also be used to improve the appearance, alignment, or shape of a tooth. Crowns can also be placed as the top of a dental implant to act as a replacement tooth. Porcelain crowns can be matched to blend seamlessly into the natural color of your smile. At Family Dentistry of Colorado Springs, Dr. Kazemi offers patients the opportunity to get same-day dental crowns. Contact our office to schedule your dental implant consultation.